Join us for a series of engaging workshops designed to connect neighbours, create better public spaces, and improve your neighbourhood through creative approaches. NOTE: We require registration for each of the workshops. If you register for one, two or all three, please visit the links below to register. 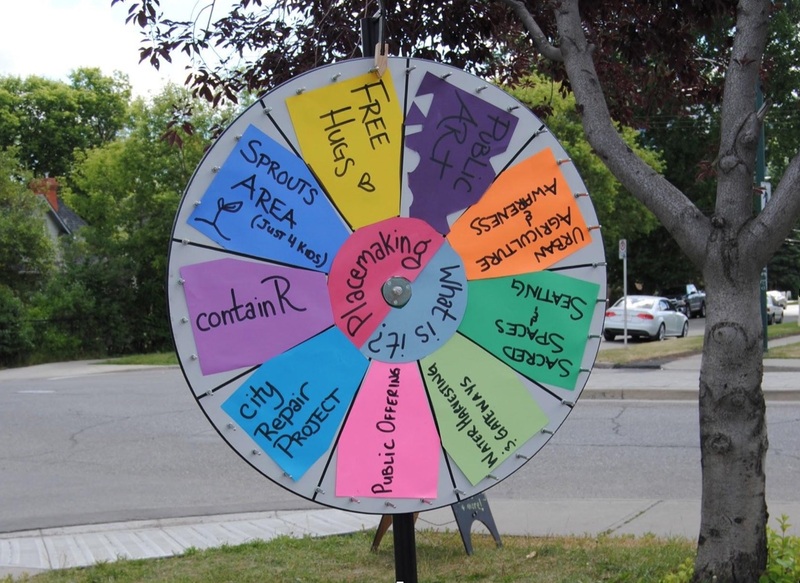 These workshops are offered by the Crescent Heights Community Association as they move toward their first-ever placemaking festival from May 4 to July 1. This series is designed so that each workshop offers unique content but they also build upon each other in content – you are invited to attend one, two, or all three! Cost: FREE! We do ask that you register in advance as space is limited. Each workshop is followed by a potluck. Please bring a small contribution. Kevin Jesuino (Community Engagement Coordinator for Crescent Heights CA) will introduce you to the concept of placemaking and share how it can help make your community even better. Meet your neighbours, and go for a walk in your neighbourhood to discover the possibilities in public and private space throughout the community. Break bread together with a potluck following the session. Lindsay Meads (co-owner of reGenerate Design) and Alla Guelber (founder of the Meaningful Work Project) will explore simple, practical, and effective ways to create a greater sense of community in your neighbourhood. They will share their experience of ways to engage neighbours in creating active community spaces on public and private property, based on their experiences with designing, developing, and creating places of inspiration and creativity in the public realm. Expand your knowledge of placemaking, learn how the principles of permaculture can be applied to community building, and participate in hands-on activities to learn about the assets that exist within your neighbourhood. Once again, share food with your neighbours at a potluck directly following the session. Lindsay Meads (co-owner of reGenerate Design) and Alla Guelber (founder of the Meaningful Work Project) will share their personal experiences with placemaking and projects in Calgary, as well as stories and examples from their studies with architect Mark Lakeman of the City Repair Project in Portland, Oregon. They will guide you and your neighbours through thought-provoking activities to directly apply placemaking skills to create what you want to see in your community! Identify spatial relationships within the community, uncover candidate sites for placemaking projects, determine destinations and routes within the neighbourhood, and analyse neighbourhood values and assets. And yes, it’s just that important and fun, so we’ll have a potluck following the session. Alla Guelber is an environmental educator, engagement facilitator, and community organizer and is the founder of The Meaningful Work Project. She has worked in a variety of sustainability-related areas, including hosting climate change dialogues in small municipalities, organizing innovative events exploring our relationship to water, applying ecological principles to organizational dynamics, and more recently, developing waste and recycling programming for audiences ranging from grade four students to ESL learners. Kevin Jesuino is a Portuguese-Canadian interdisciplinary artist working with communities across Calgary to tackle issues related to social isolation, diversity and inclusion. His works span the performing arts, visual art and participatory/community socially engaged art practices. He is currently the Community Engagement Coordinator of Crescent Heights Community Association and the Programming Coordinator for Crescent Heights Village Days.